From today at 08:06 GMT GerritHub users are served by our brand new infrastructure geo-located in Canada, Quebec, Beauharnois. It is the first time we applied a zero-downtime roll-out scheme, the PingDom uptime for the past 24h reported 100% uptime and 688 msec average response time for the page of the list of opened changes. The two response times spike on the above graphs are actually due to the old German infrastructure and happened before the start of the roll-out. We can see the switch of the traffic to the new infrastructure from the increase of the overall response time (IP packets were routed from Germany to Canada causing extra hops); as the DNS propagation was spreading across the world, the overall number of hops gradually came back to normal. 08:00:00 GMT – Phase 1 – Set Gerrit READ-ONLY. All changes and Git repositories started to refuse push and updates. 08:00:01 GMT – Phase 2 – Wait for pending replication to complete. Replication queue was empty; there was no need to wait. 08:00:02 GMT – Phase 3 – Mirror DB and Git for the last time, delta-reindex, DB upgrade and Gerrit restart. It has been the longest part of the roll-out and lasted 5′ 32”, aligned with our estimates. 08:05:34 GMT – Phase 4 – Cache warm-up. 20K projects, 8K accounts and 4.6K groups were pre-loaded in Gerrit. This step was optional but allowed us to redirect all the traffic without risks of causing thread spikes on the new infrastructure. 08:06:23 GMT – Phase 5 – Redirect traffic to the new infrastructure. Did anybody notice the rollout? During the rollout the Git projects and Gerrit changes were read-only for 6′ and 23”. According to the logs, 493 Git/HTTP and 172 Git/SSH invocations were made and completed successfully: none of them failed. The new infrastructure public IP (192.99.233.76) has almost completed his DNS propagation around the world, the only countries not entirely covered are Australia and China. The rest of the world is coming directly to Canada avoid the German hops. Metrics are good, low CPU utilization and threads consumption compared to the old German infrastructure, symptom of the reduction of the execution and serving times and latency. From now on we will continue to use this Blue/Green roll-out strategy, possibly improving in the ReadOnly window by introducing live distributed reindex and cache warm-up. We fully commit to Zero-Downtime and Stability, the most valuable assets for our clients. 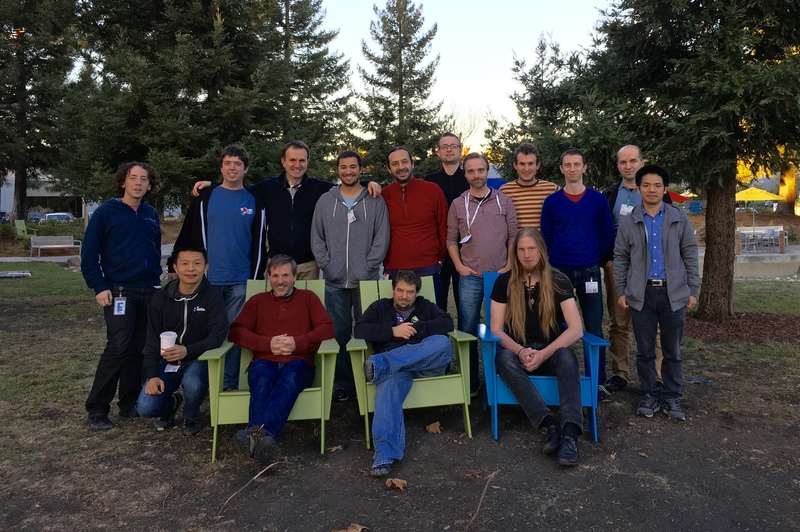 Exciting times this year at the Gerrit User Summit and Hackathon 2015: the major contributors and players of the Gerrit community shared experiencing, opinions and news in an intense 7-days event in Google – Mountain View – CA. The first two days have seen the User Summit at the centre of the stage: scalability, scalability and scalability have been the Leitmotif of the discussion. The two years of live production experience with users coming from GitHub have highlighted problems (replication, repositories sharding, multi-master) and possible solutions, ranging from Gerrit Virtual Private Hosting to the on-premises deployment integrated with BitBucket and GitHub:Enterprise. Ericsson continued with a very detailed description of how Gerrit is used as “Enterprise Washing Machine” of all code that goes through the development pipeline: scalability and control are the fundamental keywords that were repeatedly mentioned and enforced. The replication across sites have been massively improved regarding performance and stability since the introduction of Git/HTTPS as the main protocol for replication, as previously advised by GerritForge in 2014. The second day was all projected on the future of Gerrit, with three very interesting features coming soon. with a 100% open standard solution based on commit notes, implemented by all OpenSource and Commercial “flavours” of Git. The solution will allow interoperability with other code-review implementations (e.g. Phabricator) and fully enable reviews replication and off-line operations. The new DBMS-free version of Gerrit will be called the Ver. 3.0 and it will be the next version after current Gerrit master (Ver. 2.13) gets released. released. Luca Milanesio presented a new vision on how to discover and install plugins on the Gerrit platform: Gerrit PluginManager. We should not bundle more and more plugins with Gerrit, which eventually would lead to an explosion of the WAR file-size. You can now install only a “plugin-manager” which then guide you through the “one-click” set-up of all the others. Differently from similar solutions such as Jenkins Update Centre, the Gerrit PluginManager is based on the live status of the plugins and their compatibility with Gerrit: as soon as one plugin gets patched and successfully compiled with a version of Gerrit, it will automatically be listed and made available by the PluginManager. Additionally GerritForge will provide a list of certified and guaranteed plugins that have been successfully tested with Gerrit. PolyGerrit, the new web-component UX for Gerrit. Despite the UX being at very early stages, Dave was able to showcase a fully functional list of changes and search box powered by Polymer and calling Gerrit REST-API, really fast and promising! Gertty, the text-only Gerrit Code Review. On the complete opposite side, why not using Gerrit from an 80×25 text-only console? Gertty is an astonishing 100% char-based console, all based on Gerrit REST-Api and a local SqLite local DB for caching changes. Allows complete off-line operations and synchronisation with Gerrit changes. Productive and effective while you are on the go. CollabNet presented a useful four pages brochure to guide through the tuning of a Gerrit set-up for a small, medium or large installation. Based on their experience of running TeamForge SCM, the commercial fork of Gerrit Code Review based on their existing TeamForge ALM proprietary solution, they have been able to experiment the Gerrit default settings and learn how to adjust them to leverage the full power of your setup. The audience appreciated the effort and encouraged CollabNet to post all the findings as Gerrit reviews to get the code-base better and improve the default settings of the set-up. Gerrit and Jenkins Workflow dance together with Docker. Cloudbees presented a very effective demo on how to use Gerrit and Jenkins Workflow plugin to implement a real-life Continuous Delivery Pipeline. The presentation leveraged the use of Docker images as previously presented by Stefano Galarraga in his “Gerrit and Jenkins Continuous Delivery Pipeline for BigData” talk. They both explained and showed how Code Review is key in implementing a successful and smooth code validation and roll-out. Stefano’s presentation made use of the new exciting feature of “topic submission” that enables the grouping and commit of multiple changes across repositories. The Hackathon, topics and improvements. Surely the hot-topic of the hackathon has been the introduction of a new pluggable metrics engine in Gerrit, currently half-merged in master branch. Gustaf demoed on how now is possible to use standard tools such as Graphite and JMX console to extract, display and graph the most relevant Gerrit metrics in real-time. This is similar to what the JavaMelody plugin was providing, with the added value of getting the data outside the Gerrit JVM and analyse with greater detail and a standard monitoring platform. Gerrit master has been officially upgraded to allow the development of the new Polymer-based UX for Gerrit, code-named “PolyGerrit”. Gerrit master will need from now on the installation of NodeJS during development. This is needed for building and packaging the “vulcanised” version of Gerrit UX which contains the basic components of the user interface. At the moment the only thing that will be visible is the demo of list of changes presented by Dave Borowitz at the User Summit, however new changes are coming over and Google announced that they are targeting Q4-2015 for a first internal release of the new UX. As Gerrit 3.0 will be completely revamped in terms of reviews persistence, the community pushed for having a stricter changes validation on both the old DBMS and new NoteDB based persistence. GerritForge extended the use of the CI system (https://gerrit-ci.gerritforge.com) to cover the validation of every change / patch-set that will be uploaded to Gerrit from now on. This is a substantial improvement on the Code Review workflow of Gerrit itself and will hopefully contribute to a stable and solid Ver. 3.0 release next year. Qualcomm worked at completing the externalisation of Gerrit hooks and stream events into plugins. This change will allow to plug different events providers depending on the type of Gerrit set-up, single node or multi-master. One more important step towards an OpenSource implementation of Gerrit Multi-Master. For the very first time, CloudBees organised a full User Conference in London and we have been very pleased to speak to present a real-life case-study of Continuous Integration and Continuous Delivery applied to a large-scale BigData Project. See below a summary of the overall presentation published on the above YouTube video. BigData has been historically used by data scientists in order to analyse data and extract features that are relevant for the business. This has typically been a very interactive process happing mostly on “notebook-style” environments where almost everything, from ad-hoc queries and graphs, could have been edited and executed interactively. This early stage of the process is typically known as “exploration” or “prototype analysis” phase. Sometimes last only a few days but often is used as day-by-day modus operandi. However when the exploration phase is over, projects needed to be rewritten or adapted using a programming language (Scala, Python or Java) and transformations and aggregations expressed in jobs. During the “production-isation” phase code needs to be properly written and tested to be suitable for production. Many projects fall into the trap of reducing the “production phase” to a mere translation of notebooks (or spreadsheets) into Scala, Java or Python code, relying only on the manual analysis of the resulting data as unique testing methodology. The lack of software engineering practices generates complex monolithic code, difficult to maintain, to understand and thus to validate: the agility of the initial “exploration” phase was then miserably lost in the translation into production code. Why Continuous Delivery on BigData? We have approached the development of BigData projects in a radically different way: instead of simply relying on existing tools, often not enough for setting up a proper Agile Delivery Pipeline, we introduced brand-new frameworks and applied them to the building blocks of a Continuous Delivery pipeline. This is how Stefano Galarraga wrote started the ScaldingUnit project, aimed in de-composing the development of complex Scalding MapReduce jobs in simple and testable units. We started then to benefit from the improved Agility and speed of delivery, giving constant feedback to data-scientists and delivering constant value to the Business stakeholders during the production phase. The talk presented at the Jenkins User Conference 2015 is smaller-scale show-case of the pipeline we created for our large clients. In order to build a robust continuous delivery pipeline, we do need a robust code-base to start with: seems a bit obvious but is often forgotten. The only way to create a stable code-base, collectively developed and shared across different [distributed] Teams, is to adopt a robust code review lifecycle. Gerrit Code Review is the most robust and scalable collaboration system that allows distributed teams to submit their changes and provide valuable feedback about the building blocks of the BigData solution. Data scientists can participate as well during the early stage of the production code development, giving suggestions and insight on the solution whilst is still in progress. Docker provided the pipeline with the ability to define a set of “standard disposable systems” to host the real-life components of the target runtime, from Oracle to a BigData CDH Cluster. Jenkins Continuous Integration is the glue that allowed coordinating all the different actors of the pipeline, activating the builds based on the stream events received from Gerrit Code Review and orchestrating the activation of the integration test environments on Docker. Mesos and Marathon managed all the physical resources to allow a balanced allocation of all the Docker containers across the cluster. 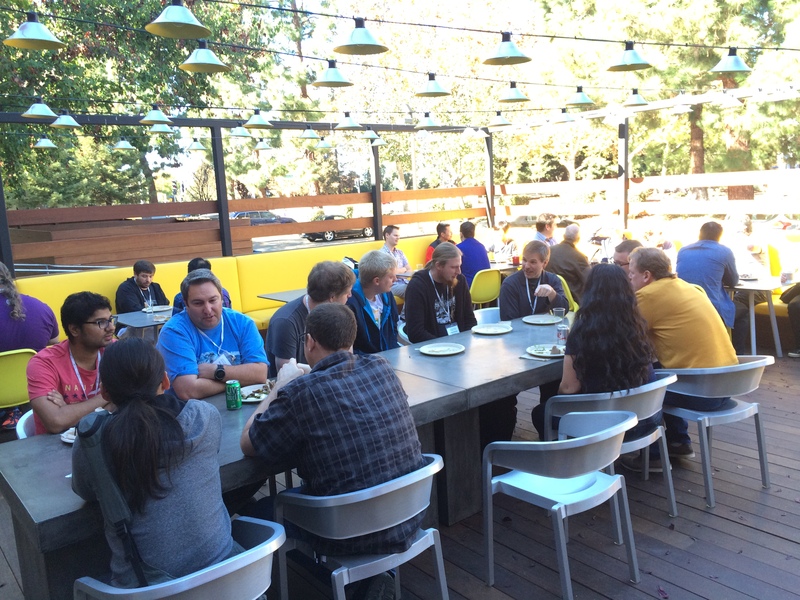 Everything has been managed through Mesos / Marathon, including the Gerrit and Jenkins services. The BigData pipeline starts when a new piece of code is changed on the local development environment. Typically developers test local changes using the IDE and the Hadoop “local mode” which allows the local machine to “simulate” the behaviour of the runtime cluster. The local mode testing is typically good enough for running unit-tests but often is unable to detect problems (e.g. non-serialisable objects, compression, performance) that are likely to appear in the target BigData cluster only. Allowing to push a code change to a target branch without having tested on a real cluster represent a potential risk of breaking the continuous delivery pipeline. Gerrit Code Review allows the change to be committed and pushed to the Server repository and built on Jenkins Continuous Integration before the code is actually merged into the master branch (pre-commit validation). Jenkins uses the Gerrit Trigger Plugin to fetch the code currently under review (which is not on master but on an open change) and triggers the standard Scala SBT build. This phase is typically very fast and takes only a few seconds to complete and provide the first validation feedback to Gerrit Code Review (Verified +1). Until now we haven’t done anything special of different than a normal git-flow based continuous integration: we pushed our code and we got it validated in Jenkins before merging it to master. You could actually implement the pipeline until this point using GitHub Pull Requests or similar. Instead of considering the change “good enough” after a unit-test validation phase and then automatically merging it, we wanted to go through a further validation on a real cluster. We have completely automated the provisioning of a fully featured Cloudera CDH BigData cluster for running our change under review with the real Hadoop components. In a typical pipeline, integration tests in a BigData Cluster are executed *after* the code is merged, mainly because of the intrinsic latencies associated to the provisioning of a proper reproducible integration environment. How then to speed-up the integration phase without necessarily blocking the development of new features? We introduced Docker with Mesos / Marathon to have a much more flexible and intelligent management of the virtual resources: without having to virtualise the Hardware we were able to spawn new Docker instances in seconds instead of minutes ! Additionally the provisioning was coordinated by the Docker Build Step Jenkins plugin to allow the orchestration of the integration tests execution and the feedback on Gerrit Code Review. Whenever an integration test phase succeeded or failed, Jenkins would have then submitted an “Integrated +1/-1” feedback to the original Gerrit Code Review change that triggered the test. When a change has received the Verified+1 (build + unit-tests successful) and Integrated+1 (integration-tests successful) is definitely ready to be reviewed and submitted to the master branch. The additional commit triggers the final release build that tags the code and uploads it to Nexus ready to be elected for production. The decision to rollout to production with a new change is typically enabled by a continuous delivery pipeline but manually operated by the Business stakeholders. Even though we could *potentially* rollout every change, we did not want *necessarily* do that because of the associated business implications. Our approach was then to publish to Nexus all the potential *candidates* to production and roll-them-out to a pre-production environment, ready to be assessed by Data-Scientists and Business in real-time. The daily job scheduler had a configuration parameter that simply allowed to “pointing” to the version of the code to run every day. In this way whatever is deployed to Nexus is potentially fully working in production and rollout or rollback a release is just a matter of changing a label in the daily job scheduler. Building a Continuous Delivery Pipeline for BigData has been a lot of fun and improved the agility of the Business in rolling out changes more quickly without having to compromise on features or stability. When using a traditional Continuous Integration pipeline, the different stages (build + unit-test, integration-tests, system-tests, rollout) are all happening on the target branch causing it to be amber or red at times: whenever tests are failing the pipeline need to be restarted from start and people are blocked. By adopting a Code Review-driven Continuous Integration Pipeline we managed to get the best of both worlds, avoiding feature branches but still keeping the ability to validate the code at each stage of the pipeline and reporting it back to the original change and the associated developer without to compromise the stability of the target branch or introducing artificial and distracting feature branches. The slides of the talk are published on SlideShare. 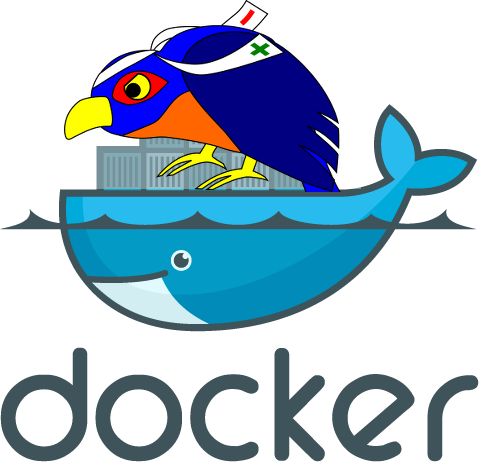 Gerrit has finally landed on Docker! The first official set of Docker images have been uploaded and are available on DockerHub. Thanks to the new Gerrit installer project a new set of native distribution means are becoming available: starting from the native packages for Linux to the Docker images published today. Well, why not? Docker is an amazing technology for packaging an application with its dependencies and activating it in a sandbox virtualised environment. It allows a more effective isolation of an application container and at the same time assures to have a clear separation between the application distribution and its data. Additionally for those who want to run more than one Gerrit instance at a time, it allows to define specific QoS for the activated docker containers and assign to them an internal IP and ports to be routed in a multi-hosted environment. How can I get Gerrit on Docker? Gerrit will be started inside a Docker container and will be exposed on ports 8080 and 29418 on the host machine IP. How can I customise my Docker container? Gerrit Dockerfiles are available in the gerrit-installer project and can be easily customised and tailored to your needs. A much better idea however would be to generate a new Dockerfile that starts from Dockerhub image and then change your Gerrit configuration files and steps to perform your desired set-up. How can I install a specific Gerrit Docker version? All Docker images published are associated to a specific Gerrit tag representing the version installed on that image. The default is always the latest Gerrit version that in this case is 2.11. What about having typical Gerrit configurations as Dockerfiles? All the above settings can be represented by a set of Dockerfiles similar to the one above mentioned: they will all start from a plain Gerrit Docker image (e.g. gerritforge/gerrit-centos7) and follow with the amended settings. Where can I find the “pre-digested” Dockerfiles for the typical Gerrit configurations? We are planning to enrich the Gerrit installer project with all the above typical scenarios and publish the associated Dockerfiles so that people can “pick&mix” the perfect recipe for a flawless installation. Have fun with Gerrit and Docker, no more installation tears with Gerrit! Gerrit version 2.11 is now available. Yet again, Gerrit delivers new features and cutting-edge technology improvements for Git and Code Review for the Enterprise!